Now a set of three! 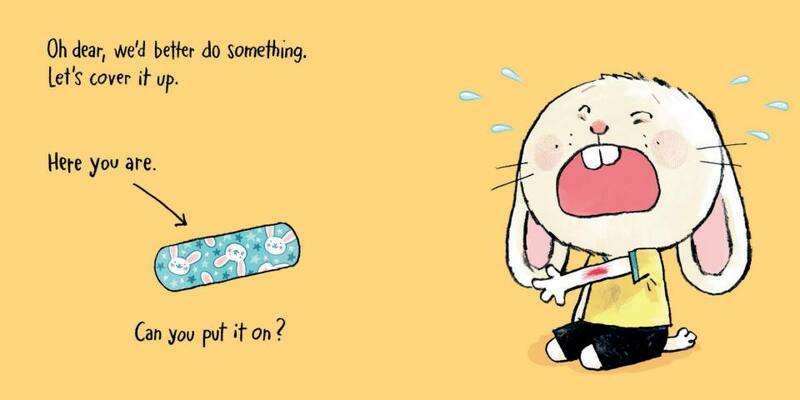 Perfectly simple interactive board books for babies who love to take care of Little Rabbit—can you help by wiping his tears? A perfect first book for babies or toddlers. 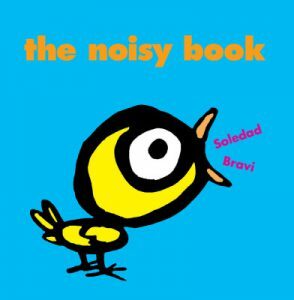 A perfect first book for babies. 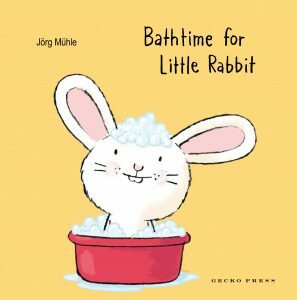 Jorg Muhle’s “Poor Little Rabbit” is a perfectly simple, entertaining, and interactive board book for children ages 5 to 6 who love to take care of Little Rabbit. 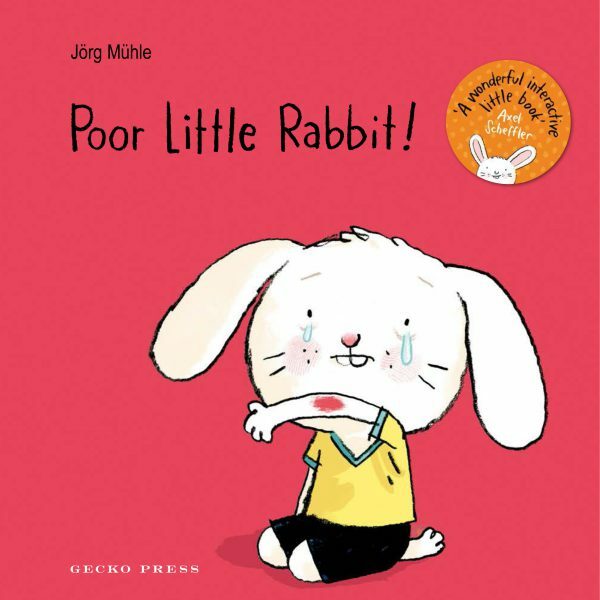 Like Jorg Muhle’s two previous board books, “Poor Little Rabbit” is unreservedly recommended for family, daycare center, preschool, kindergarten, and community library board book collections. I loved that Mühle weaves interactivity into the tale, inviting kids to blow on the wound, cover it with a bandaid etc. The artwork is perfectly aimed at toddlers too. This book is really totally Too Cute! 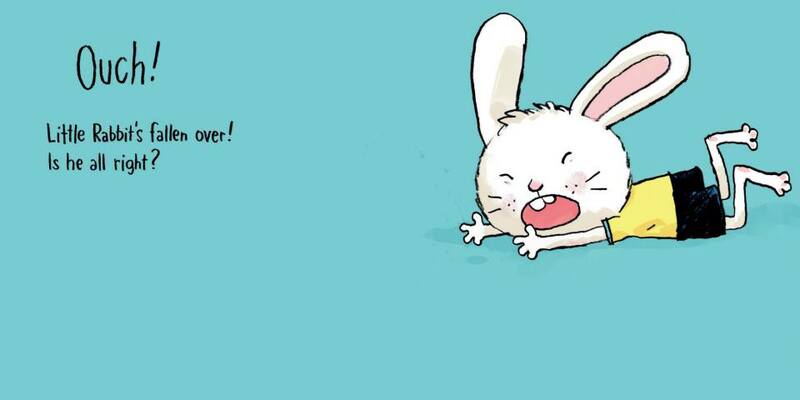 Muhle captures perfectly the emotions that Little Rabbit experiences when he falls. This delightful book and its predecessors appeal on several levels. The interactive components are fun, and foster kindness and empathy. But most of all, I love how empowering they are for children, who help Little Rabbit through experiences and activities they themselves may find challenging. 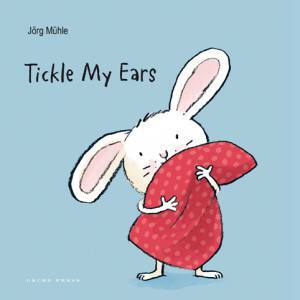 For the very smallest, Jörg Mühle’s beloved bunny returns in another perfectly judged interactive board book… it falls to the reader to console him with bandages, rhymes and ear-strokes, allowing toddlers to revel in their own kindness and maturity. 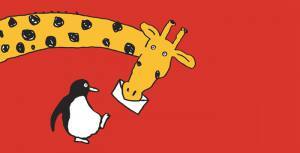 With its gentle, appealing story, interactive fun and adorable illustrations, this clever, captivating book speaks volumes to youngsters who like to play their part at story time! 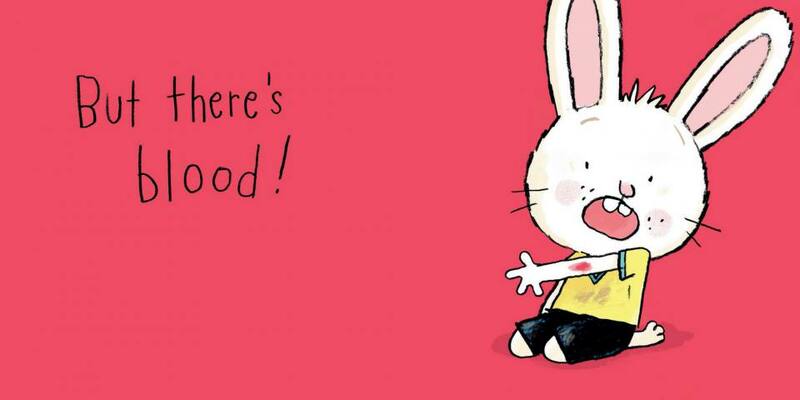 Little rabbit is a wee series with a delightful character who will become a firm favourite with young readers as they explore little adventures in each of his books. 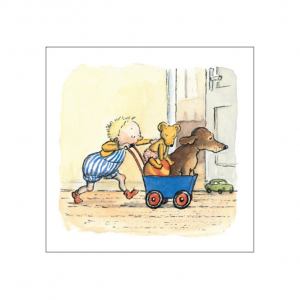 A gorgeous book to add to a baby’s first collection.